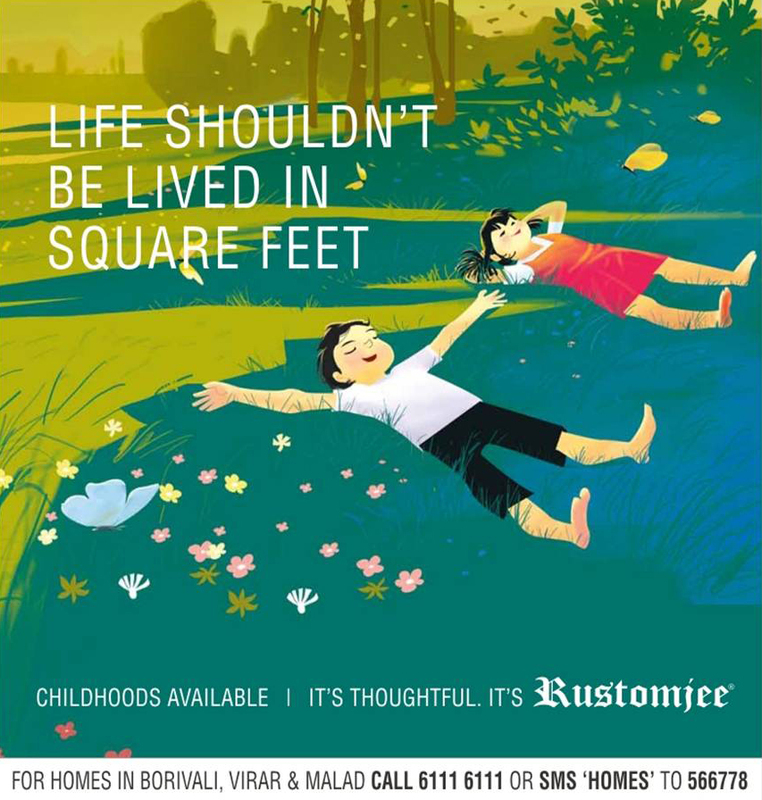 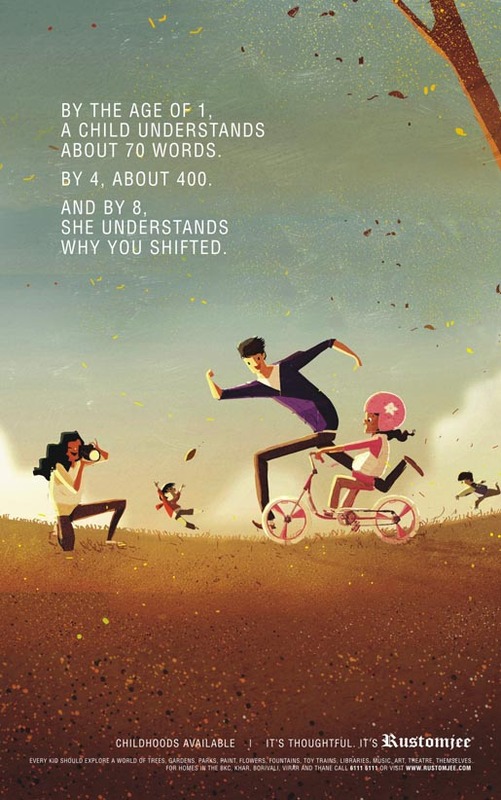 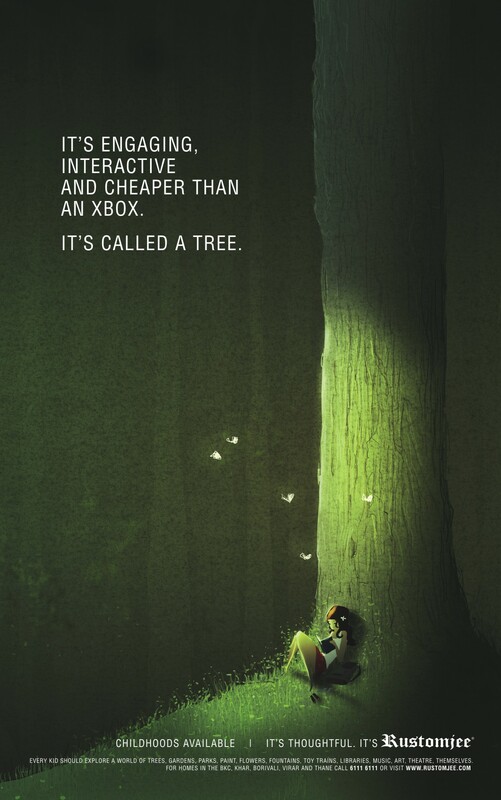 Rustomjee, a housing development company in Mumbai, India, chose to focus on child-friendly principles in a print and outdoor advertising campaign launched in Otober 2011. 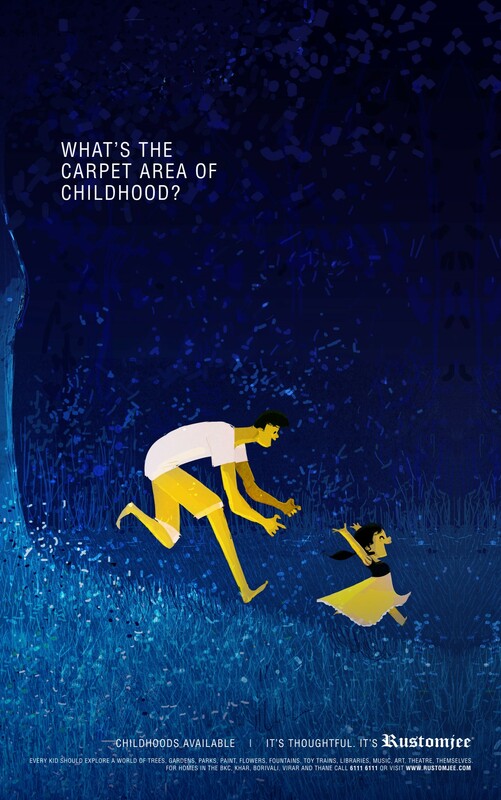 In a world of luxury, sometimes the true luxury is giving your child a childhood. 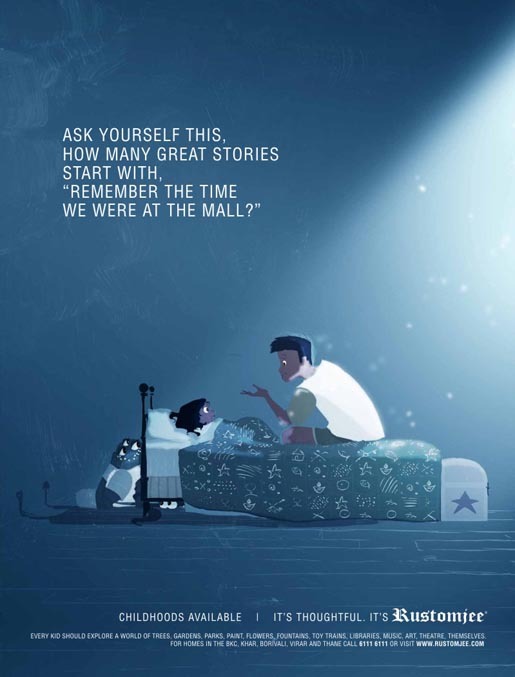 The Childhood campaign was developed at Ideas@work, Mumbai, by creative director/copywriter Zarvan Patel, creative director Prashant Godbole, art directors Manoj Gorde and Sriram Mandale, copywriters Karthik Smetacek, Hemant Jain, Dominic Braganza, Raghav Sikka, Shahan Karanjia, account manager Ritwik Saha, designer/illustrator Pascal Campion, working with Rustomjee’s in-house marketing team, Vijay Cidambaram and team at organisational branding firm Gentre of Gravity, and Rutu Modi.